Geology experts in Washington and Oregon have produced an easy-to-read brochure that can help people understand landslide risks, the underlying geology of slides and precautions that could avoid a disaster. I have written a lot of words about landslides through the years, often relating stories of people involved in a catastrophic slope failures. But this new publication excels as a concise discussion of what people need to know if they live on or near a steep slope. After the Oso landslide in the Stillaguamish Valley three years ago, I wrote a piece in the Kitsap Sun to help residents of the Kitsap Peninsula understand the risks they could be facing. 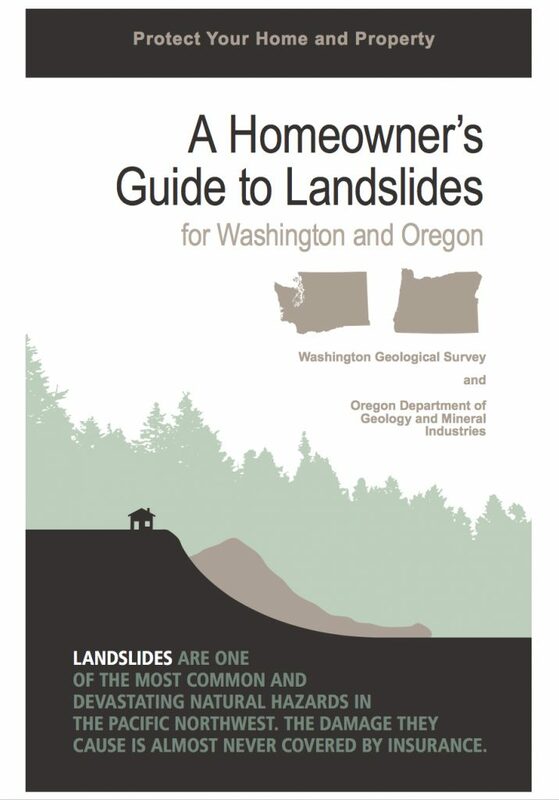 Now I can point people to this graphically rich pamphlet, called “A Homeowners Guide to Landslides for Washington and Oregon” (PDF, 3.8 mb). It was produced by the Washington Department of Natural Resources and the Oregon Department of Geology and Mineral Industries.